DebConf is the annual Debian conference which will be held in Curitiba, Brazil, from July 21 to July 29, 2019. MiniDebConfs are local meetings organized by Debian project members to achieve similar objectives to those of the DebConf, but on a regional context. When majority of talks are not Debian specific, it is called DebUtsav - celebration of Free Software by Debian community. DebUtsav Delhi 2019 is an awesome opportunity for any user who wants to experience the magic of Free and Open Source Software (FOSS). Here you can hear to some awesome speakers, meet the veterans in FOSS development, develop professional connections which will help you in future, chat with contributors who can guide you, advance the cause of Debian and most importantly, grasp the essence of FOSS development. It is indeed a ‘never miss’ opportunity that will give you a strong foundation to build on! A free software user turned contributor. Mostly spends time on Debian Project as a volunteer and for making a living. Also member of Free Software Community of India [FSCI] and maintains a couple of services for the community. 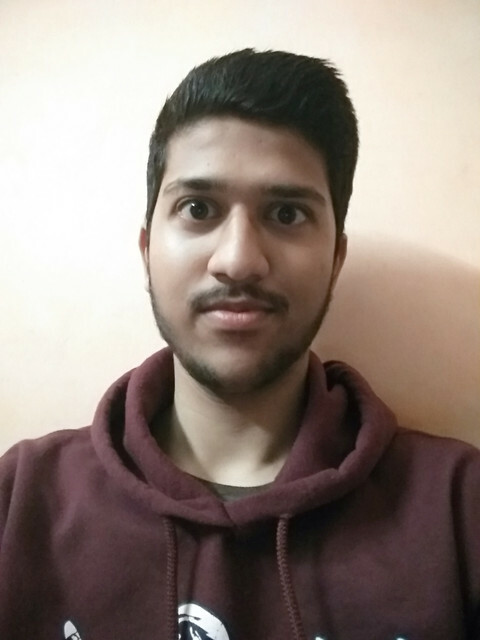 Himanshu started using Linux when he was in class 8 and is now very passionate about encouraging people to use Linux and create their own bundle according to their specific needs. Himanshu is also RHCSA, RHCE certified. He has worked with Allianz Partners and right now pursuing his Masters in Data Analytics. He loves to talk about Linux, Open source software, VCS and Machine Learning Algorithms. In his free time, he loves to do cycling. Swarnim is a computer science enthusiast, with a new found love for blogging. And an avid supporter of FOSS. His current fancy is Computer Graphics and Game Development. A student researcher in the field of Singularity , currently working on Tillo drone, having knowledge on IOT and NLP. Pursuing research in Advanced Algorithms and Cryptography. Loves Open Source and looking his way to kernel development . Python developer working with Sugar Labs @ Outreach, community volunteer for PyDelhi and ALiAS (http://asetalias.in), speaks at meetups, writes docs with Mixster and collects Calvin and Hobbes comics on the weekends 🐣 He believes - "The opportunities you seek, are closer that they appear." Shashikanth is a Technologist at SFLC.in (https://sflc.in). He is a data privacy advocate and a free software activist. He believes that the Internet plays a key role in empowering people and it must remain open, inclusive and free from discrimination. He is a member of the Mozilla India community and actively participates in advocacy campaigns. He also volunteers for the Free Software Movement of India. At SFLC.in, he works on digital security trainings intiative "https://security.sflc.in" conducting workshops to raise awareness on privacy risks and measures/tools for protecting privacy. A developer at Gramener and a research assistant at IIIT Delhi. An avid Open Source enthusiast and Linux geek,loves to innovate and builds things on Internet.Currently Working on Research Paper Recommender System. Involved in Packaging Node-js & Python Modules for Debian. In his spare time,he loves playing Basketball & Badminton, camping,packaging and programming sometimes. A programmer in Beta. Contributor to many open-source projects, mainly coala, Python, and Debian. Closing bugs in my free time.